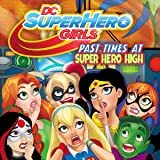 The critically acclaimed and New York Times bestselling DC Super Hero Girls series is back, and this time the class is joined by new students Mera and the Teen Titans’ Raven! 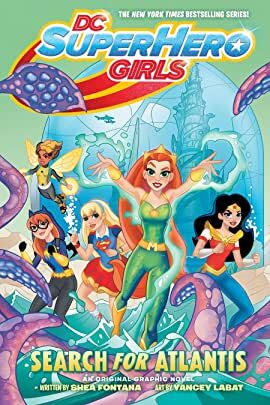 The celebrated series by author Shea Fontana continues with an underwater adventure in DC Super Hero Girls: Search for Atlantis. Things are going swimmingly for new students Mera and Raven, until the girls go on a field trip to Mera’s hometown of Atlantis and find that the underwater city has vanished! 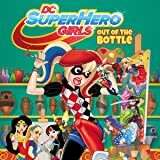 Batgirl, Supergirl, Wonder Woman, Bumblebee, Raven, Miss Martian and Starfire discover that Atlantis has been shrunk and bottled by the powerful villain Brainiac! This gigantic problem calls for a small solution. To infiltrate Brainiac’s bottled-city collection, Bumblebee and Raven combine technology with magic and shrink the heroes. But will they save the lost city of Atlantis, or will their little plan lead to even bigger trouble? With deadlines looming, some of the students of Super Hero High decide to stay up and finish their comic book projects for Miss Moone's art class. Can the girls help each other finish in time? Meet Super Hero High’s newest student…Jessica Cruz! 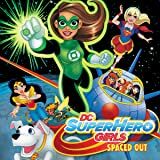 Being the new kid is tough, but life gets a whole lot tougher for Jessica when she learns that she must travel through space to be sworn in as a member of the Green Lantern Corps. Can she overcome her fears with the help of her classmates/travel buddies Supergirl, Big Barda, and Star Sapphire? The worldwide sensation DC Super Hero Girls starts a new adventure in this Digital First format! 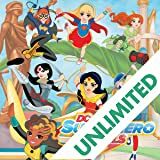 Developed for girls aged 6-12, DC Super Hero Girls features DC's most powerful and diverse line-up of female characters as relatable teens, playing out across multiple entertainment content platforms and product categories to create an immersive world. 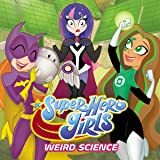 It's science fair time at Metropolis High, and the DC Super Hero Girls are very excited—except for Zee Zatara. Magic is her life, and science seems so dull in comparison. When she tries to help her friends with their projects, things keep going wrong. Is her magic causing the science to go haywire?